I have to say, if ever I had to pick my favorite up and coming artist to be acquainted with, Elizabeth Chamberlain would be at the top of that tough list! Since I first saw her so many songs ago sitting in a cubby corner in Phoenix, Arizona, singing her soul out while people sipped on their spirits, she has only gotten better and broader. Last time we talked she was living in Los Angeles igniting fuses with her band The Scarlet Ohs. This time around she is getting back to the basics of being solo. Although Elizabeth keeps in constant contact and keeps me updated on her current conquests, every time I interview her I am more and more impressed. Ever expanding her entertainer experiences, this golden girl just gets unbelievably better! What hooked me in the beginning, though, and the bottom line that it always comes back to is her bewildering voice. In the song “Summer Love” I once again get lost in its candid complexities. In the song “Silent” she sounds more mature, yet still manages to mold the masterful magic her voice manufactures. “The Fox” just shows the diversity that Chamberlain delivers. Sara Fincham: Exactly how many projects are you currently juggling? You seem to have a hand in many things at the moment! Elizabeth Chamberlain: I’m juggling two projects right now, well three if you count school. I am going to solely focus on my solo artist career, because the band thing gets too messy and complicated. SF: What I like about you, among so many other things, is that you don’t just do your craft, but you study it, you teach it. How has being a vocal coach and now interning at a record label helped you learn more about the business and also yourself? EC: Being a vocal coach teaches me new things, because I learn something different from every student which helps not only them to grow but me as well. Also interning at a record label is cool because I get to learn about tons of new artists and see what else is out there and how unique and creative so many artists are today. SF: Another accomplishment you can add to your ever-growing list of goals is that you are a yogi. When and why did you get into yoga and what about it piqued you so much that it became a priority? EC: I got into yoga because I was very stressed out at the time, and not feeling my best. Yoga turned my negativity into positivity and gave me more hope and enlightenment for a better future. Also I am going through training to become a yoga instructor because I am so passionate about it. SF: Simultaneously while singing you are also acting. How important do you think it is to be that triple threat type of entertainer? Also, did you learn Chinese? You are so impressive right now! EC: It is pretty important to be a triple threat because it gives an entertainer that much more credibility and shows they really go beyond what they have to, to be the best entertainer out there. Also thank you, I’ve been pushed really hard this year, and took on more challenges than I have before. It’s been tough but invigorating at the same time! SF: When will The Scarlet Ohs be debuting their brand new breakthrough cd? EC: I’ve decided to put The Scarlet Oh’s on hold for now, to focus on my solo artistry which is much more dynamic I believe. SF: You have accomplished so much already, but what’s on your to-do list? What’s one thing that you’d really like to check off your long list? EC: The only thing on my to-do list is to stay healthy, creative and in school, and of course to make some great music! How can I send an email to Elizabeth? 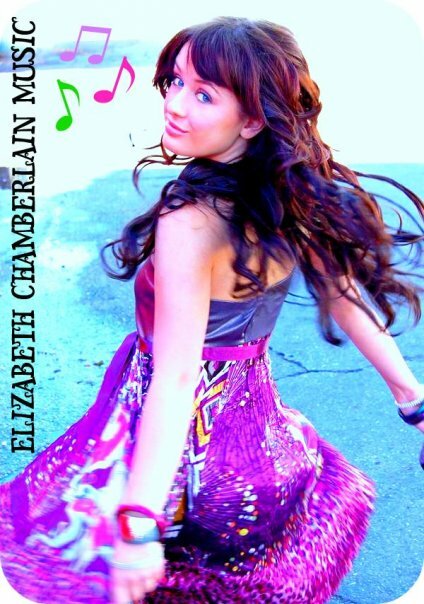 It seems both her facebook and official website are being worked on, but here is her reverbnation page: http://www.reverbnation.com/elizabethchamberlain. Hope that helps!